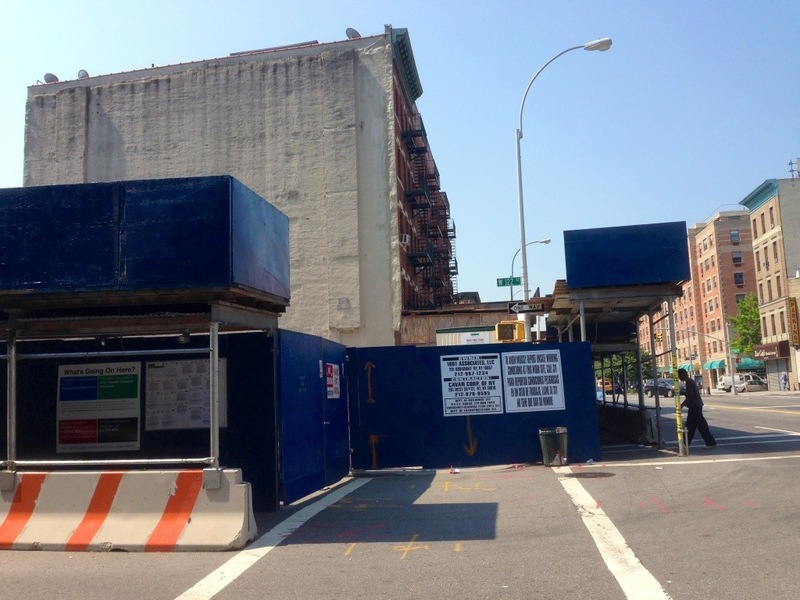 Mixed use building going up at 2272 Frederick Douglass Blvd in Harlem | HarlemGal Inc.
A residential building with street front commercial space is finally being built at 2270 and 2272 Frederick Douglass Blvd in Harlem. I use the word finally because this area in Harlem, which was once an abandon lot, construction had started a few years ago and then suddenly stopped-probably due to the 2008 financial crisis is my guess. Now its clear from the scaffolding and signage at the corner of 120th Street and FDB, construction work is well underway. 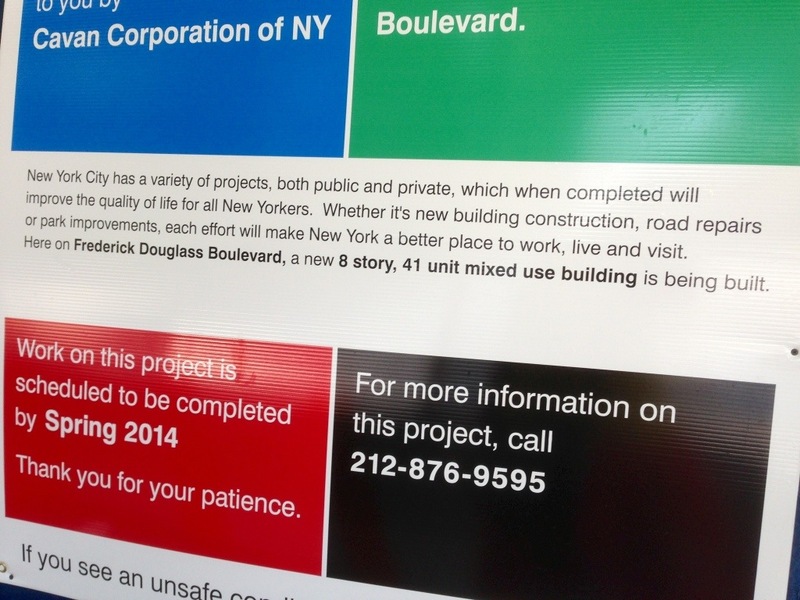 According to signage on the construction site, the building will have 8 floors and consist of 41 units. PropertyShark states 36 of the 41 units will be residential units. No word on whether this building will be condo or rental! So stay tuned. This entry was posted in commercial real estate, Harlem, Harlem blogs, Harlem commercial real estate,, Harlem real estate,, real estate and tagged 10027, 2270 FDB, 2270 frederick douglass blvd., 2272 Frederick Douglass Blvd, Apartments, Frederick Douglass Blvd., Harlem, Harlem commercial real estate, Harlem Real Estate, where to live in harlem. Bookmark the permalink.